On our recent family trip to Nashville, we had heard that the Wildhorse Saloon was the place to be. 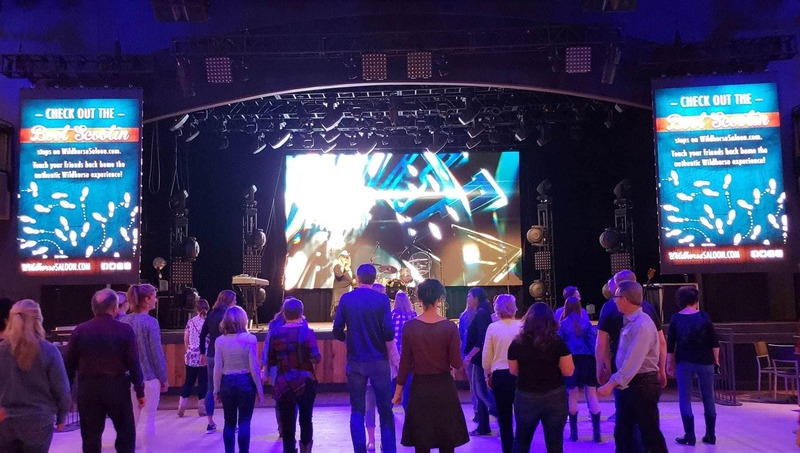 While I enjoy country music, it had been a while since I’d dusted off my line-dancing boots…regardless, our family knew that spending the evening at the Wildhorse Saloon would be a ton of fun for the entire family! Listening to live music, eating some great food and dancing the night away! The perfect trio of fun for any family-friendly night out on the town, right? From the moment we entered those saloon doors, the energy was absolutely contagious. The smiles never left our faces and the rhythm of the music overtook us. We were provided a complimentary visit for our review but all opinions are our own. #1. 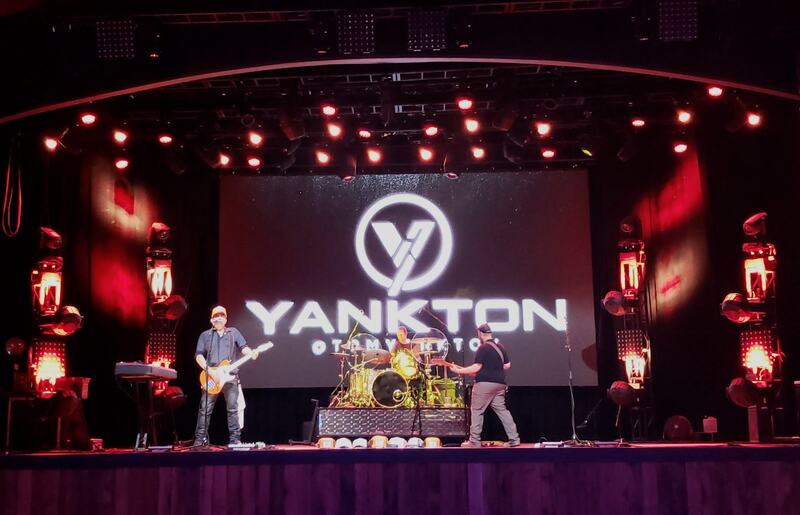 The live music at Wildhorse Saloon was exceptionally good. 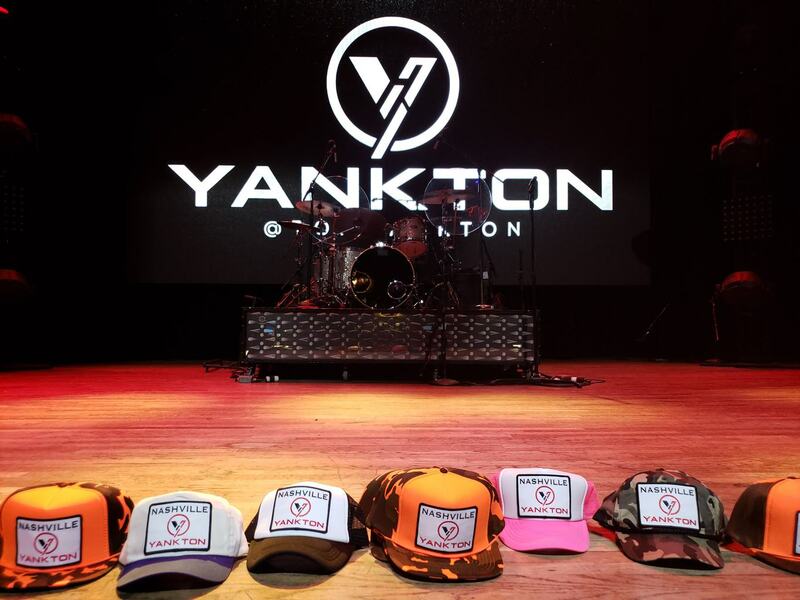 Not only did the music never stop, but we got to spend the evening listening to some great music performed by Tom Yankton. If you are a country music fan, then you know exactly who this is, right? He used to be part of the Rascal Flatt music group, but has now ventured out on his own and performs live all over the world. I can assure you that he is awesome. He does a great job mixing up his music and songs! His entire performance had us all on our feet dancing and swinging to the beat! #2. You won’t find any crystal slippers here…but glass boots? Absolutely. The theme of the Wildhorse Saloon the night we went was obviously everything country and cowboy. It’s in the name and the addition of the word “saloon” leaves no surprises as to the type of venue you’re visiting. One of the best and inventive things that I loved while there, was that my cocktail was served to me in a glass boot. This drink really spoke to my “sole” and got my kicking up my heels to really immerse myself in the music and fun! #3. Free line dancing is offered every night. If you’ve never memorized those steps or learned the proper dance moves, no worries! The dance floor is the perfect place to watch, and recreate moves on your own. With how energized the entire venue is, it’s nearly impossible to stay seated without joining in on the fun. I gave it a go numerous times, and must say that I’ve still got some moves! #4. The food (and BBQ sauce) is in high demand. Their food offerings in the restaurant were extensive. We all ordered something a bit different but then enjoyed that family style taste testing off each other’s plates. 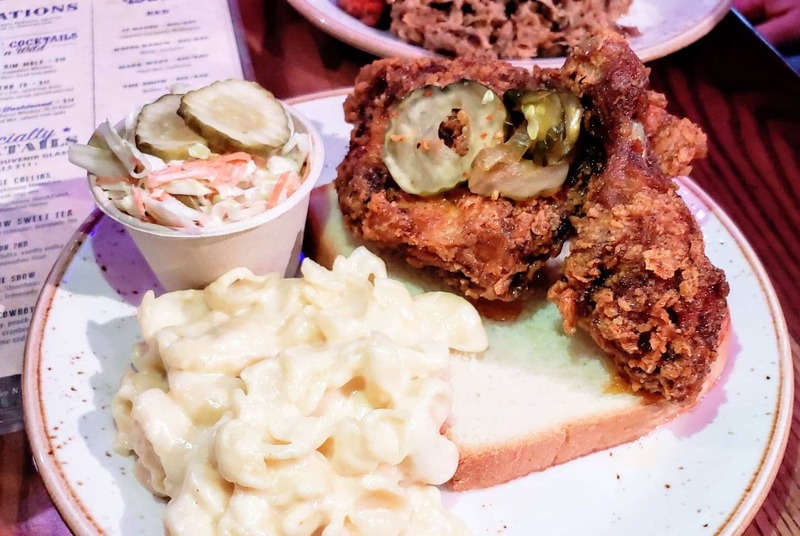 Not only were the wings out of this world crazy good (they actually won 1st place in the Music City Hot Wing Festival in 2015), Their BBQ sauce is just one of the many reasons that so many people keep coming back. They use over 3,000 buckets of BBQ sauce each and every year. 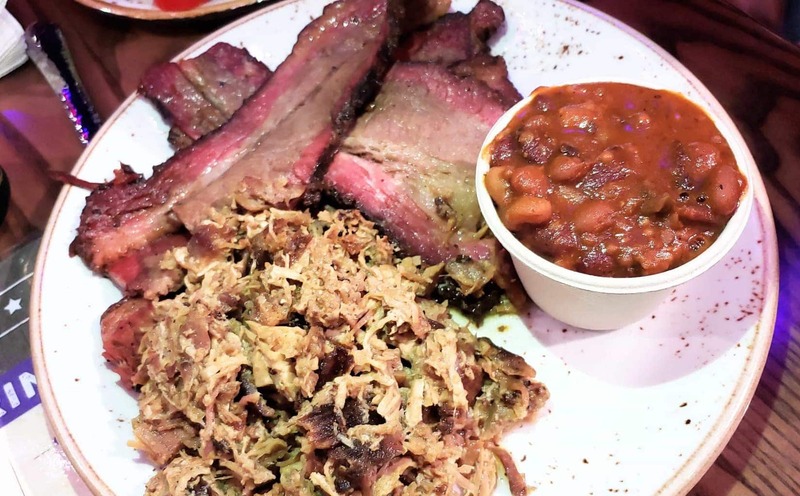 Talk about a ton of delicious BBQ meats! #5. Don’t forget to splurge on the desserts. My family and I truly love sweets. We are not really all that picky when it comes to dessert, but my heart was so happy when I got to order one of my favorite all-time classic desserts that takes me back to my childhood. 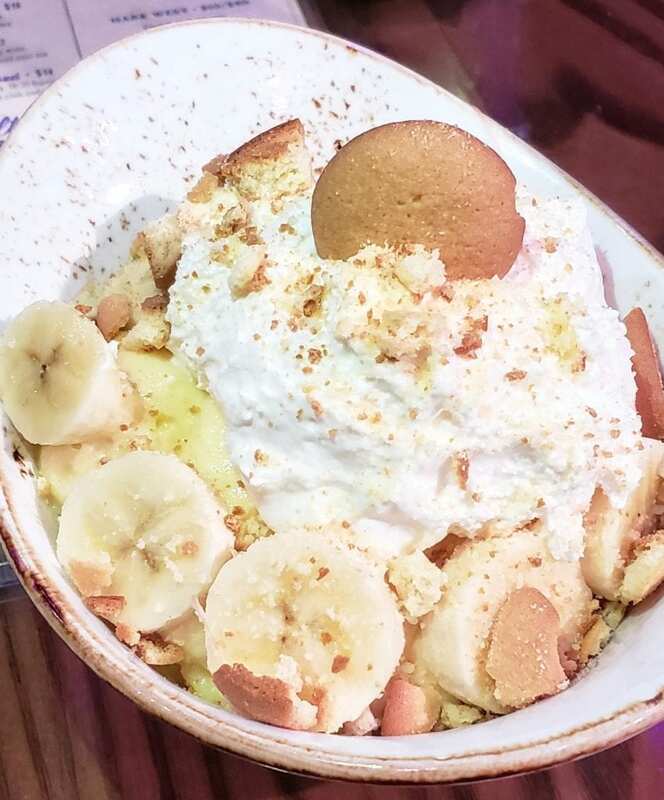 Banana pudding with wafer cookies. You remember this dessert, right? Growing up, this was a staple in our home and was the best of the best when it came to desserts. I was in absolute heaven when I was able to end our dinner with spoonful after spoonful of this creamy goodness. #6. Anyone can “horse” around here. If you are venturing to the Wildhorse Saloon for a family-friendly visit, make certain to look “up” as well to the ceiling because while you may be dancing on the ground dance floor, the horses prefer to dance high in the sky and dangle from the roof. If you are looking for a family-friendly adventure while in Nashville, the Wildhorse Saloon is a must-do for you and your family. Your toes will be tapping to the music, your tummy will be full, and your family will have an absolute blast dancing the night away.